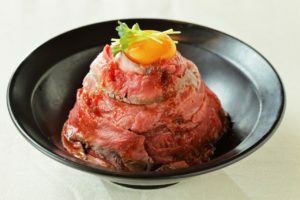 The first mention of roast beef in Japan was in 1867, at an international banquet held by Tokugawa yoshinobu, the last shogun. And so our roast beef restaurant was born from the idea of wanting to make people happy by providing delicous food in a relaxed dining enviornment. Setting our goals for serving only the softest, tastiest meat our cook embraced the task fully, laboring day-in day-out, finaly achieving the intended result after numberous trails and errors. 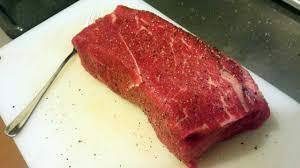 The efforts resulted with our own special homemade onion jambone and mango cream sauces which fit perfectly to both imported and local roast beef. 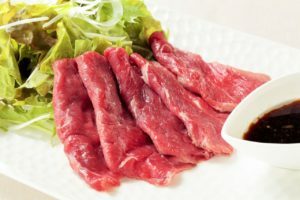 Please enjoy our Umami beef until the very last bite !